Efficiency is key in the new Overwatch meta. In most games and sports there’s nothing more important than outscoring your opponent by any means necessary. Of course, that’s not always as straightforward as it sounds. With Overwatch’s high TTK ('time to kill') and robust lineup of heroes with various offensive and defensive tools, finding an efficient way of taking and holding points can be tricky. That’s what all the bickering before the match is about, right? However, finding that perfect composition is often less important than making the right decisions at the right time, as I’ve touched on in the past. Using some examples from this month’s Overwatch Monthly Melee and April’s Overwatch Rumble, I’ll show you how a lean approach to the game can help you improve your ladder win rate. Overwatch is a game that rewards quick thinking and decisive tactics. The clock is always running, so every second you spend not making an earnest attempt on the objective is a second closer to defeat. Think of some of the trends you’ve seen at the pro scene lately. There has been very little Reinhardt, Ana is not a locked healer anymore, and Soldier is often just a counter-pick, for starters. If you want to win, you have to be fast. In a sample of 17 engagements on control maps, the average fighting time was 33.37 seconds with the shortest fight being 17.00 seconds long, all in non-overtime scenarios. Each encounter started when both teams committed and ended when one team began to retreat or was wiped. That’s 33 seconds of fighting for the point without people lingering for useless kills and creating an awful respawn stagger. Once you start losing too many people, it’s best to back off or suicide so your team can regroup and attack with as little downtime as possible. There is no glory to be won by being Rambo in this game. These are the kills that you absolutely need to get. If the enemy Genji isn’t respecting your team before the fighting even gets serious, put him down and head into the fight with a numbers advantage. Should you have a competent Zenyatta on your team, you shouldn’t have to request Orb of Discord on DPS targets, but talk it out beforehand just in case. Your collective goal is to keep your time in conflict to a minimum, and teaming up for kills is one of the easiest ways you can do that. This fight in particular shows us how powerful this composition can be for getting in and finishing the job in a hurry. First of all, they get a quick pick on Roadhog and convert that into a Sound Barrier. All of that squishy DPS isn’t so soft anymore. The next phase of the attack is to split up their attention. Soon and Nico establish the zone from either side while the rest of Rogue cuts right through the heart of Rise Nation’s defense. Then comes the celebratory cleanup, which Winston and Soldier help with better than any other hero. You can think about the flow of battle in terms of Newton’s Third Law to better visualize it. While you’re trying to pick targets and clean house in a hurry, the defending team will be trying to draw you into poor positioning to create lengthy fights. Make no mistake about that; a good player knows that killing you is less important than taking time away from your team. The burden is solely on you, the attacker, to make big plays. With Mercy’s popularity on the rise, it’s worth mentioning that Resurrect plays into this idea quite a bit. A defensive res can be very deflating for a number of reasons, but at the top of that list is the fact that the fight will need a few more seconds of reconciliation time, if not a complete offensive restructuring. That alone can sometimes be too much for an average ladder team to deal with. What does this mean for esports? If you’ve been following the scene, you know that professional Overwatch has been an absolute rollercoaster over the last few weeks. Teams have dropped out of competition for their own reasons, the price point of Overwatch League came under scrutiny and there was a lack of tournaments for pro teams to do their thing. Through all the doom and gloom, however, Blizzard came through with the announcement of their Overwatch Contenders tournament to give aspiring teams a chance to shine before OWL. That Rogue was one of the teams invited to skip the group stage of Contenders should tell you a little of what to expect. The action will be insane as some of the best and most creative esports teams around will be given priority seeding in the tournament. Expect to see plenty of quick fights highlighted by precision plays and excellent communication. 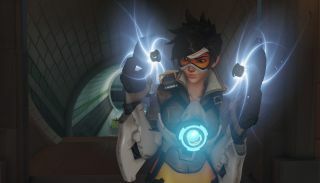 Those that have stuck it out through all of the drama are the backbone of Overwatch esports, so it’s no surprise that the meta reflects their prevalent style of play. Overwatch Contenders starts on June 3rd and will be streamed on Twitch and MLG.tv.